ON THE GO OC - Things to do with your family. 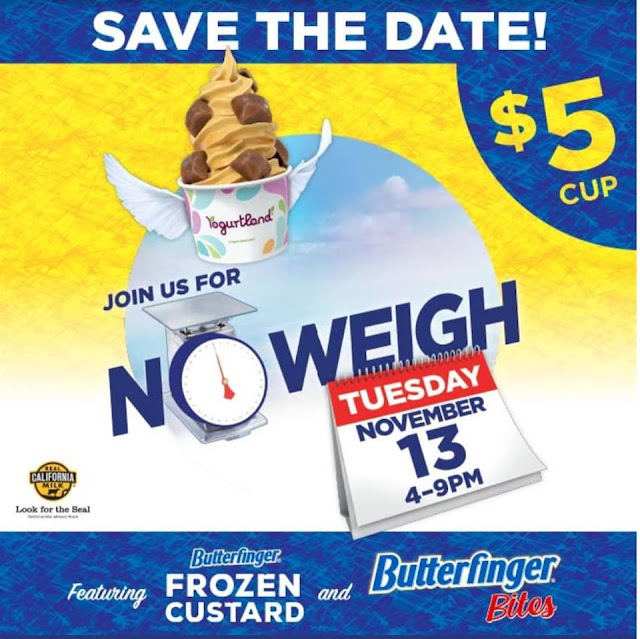 : No Weigh TUESDAY at Yogurtland November 13th - Are You Ready?! 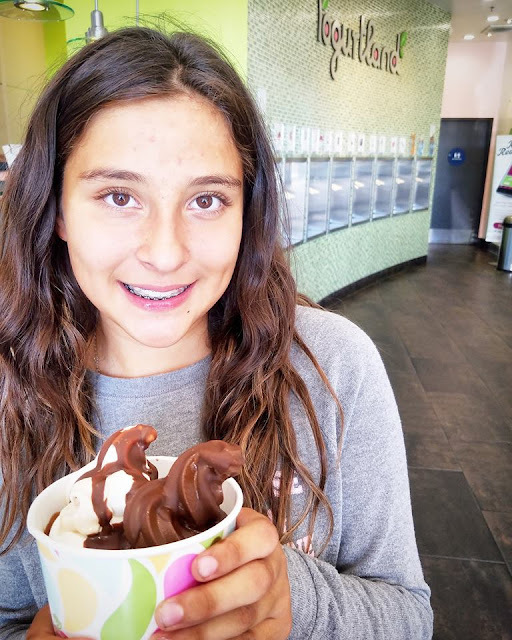 Perfect for an after school treat, reward for good behavior, post soccer fuel up, mom and daughter date and okay any occasion is a good one for FROYO!I have my favorites and regular flavors I love to return to but... the flavorologists mix up some amazing tastes that are delightful to try. Last week we visited as a random stop on the way home from a few errands and my kiddo had to put probably 5 different froyo and ice cream flavors into her cup then she topped it off with some new to her toppings! I really don't mind when she asks for Yogurtland.... it's a Family thing! Oh, and with their new Butterfinger® Frozen Custard flavor and Butterfinger® Bites topping, I know the topping imagination will run wild and will be a day we remember... I mean who forgets a day where they can fill up and eat up to their FROYO hearts desire! Hope you make it out to no weigh Tuesday too I mean there are 16 flavors waiting to fill your 16oz cup!